On January 29th, the FCC issued its 2015 Broadband Progress Report stating that broadband deployment is failing to keep pace with today’s advanced, high-quality voice, data, graphics and video offerings. Finding that the 4Mbps down/1Mbps up set in 2010 is inadequate, the Commission raised the benchmark to 25Mbps down/3Mbps up. This move was anticipated last September when the FCC issued its 10th Notice of Inquiry on Broadband Deployment. 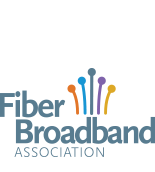 In our comments, the FTTH Council, while acknowledging the need for higher standards, underscored to the Commission that the US is well past the point when setting a speed benchmark is useful to broadband investment and deployment. We argued then and continue to believe that what Chairman Wheeler and FCC can do with regard to speed is to use it to hasten this country’s transition to faster, more robust and scalable broadband networks supported by all-fiber technology. Only all-fiber networks are infinitely scalable -- they will grow to meet any bandwidth demands. Given that speeds are increasing substantially and will continue to increase in response to demands from consumers, applications and services, the time has come for the Commission to double-down and focus on hastening the deployment of fiber through pro-investment, pro-competition policies that don’t get hung up on just another number, nor create the need for continual re-investment. With all fiber, you build it once — build it right.